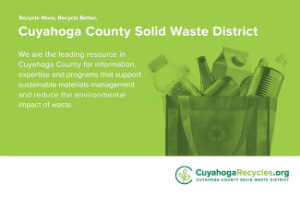 The following publications and materials are available from the Solid Waste District. 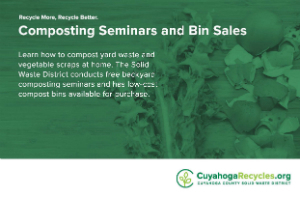 You can view the PDF or request a hard copy. 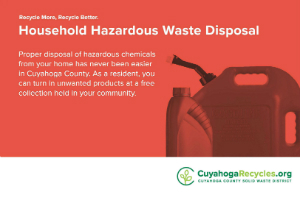 Contact the Solid Waste District at 216.443.3749 or submit the Publication Request Form. 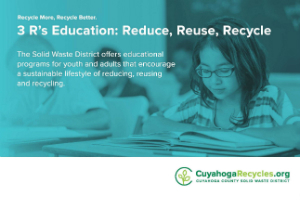 Students learn how to reduce, reuse and recycle correctly in Cuyahoga County. 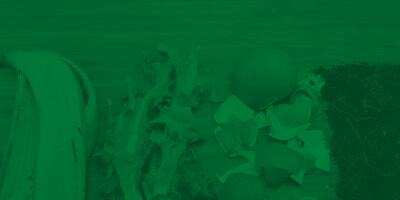 Teacher guide is a companion piece that includes activities and answers. For grades 3 - 4. Third edition printed in fall 2018. Request a copy. Actual poster size is 18" x 26". View the PDF or request a copy. Actual poster size is 24" x 36". 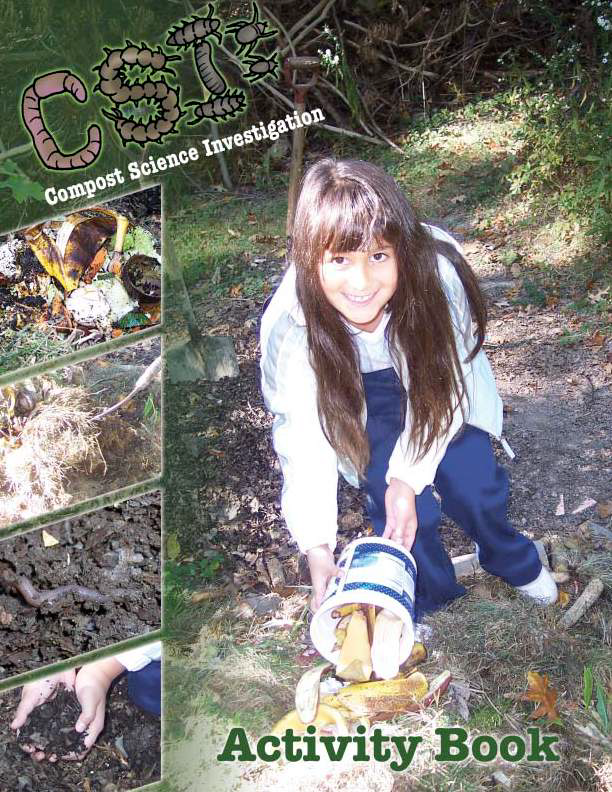 An activity book that offers a series of observations and experiments so students will learn the process of composting organic matter. Available as a PDF only. 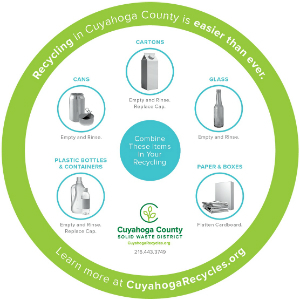 Learn how your community’s recycling rate compares to the other communities in Cuyahoga County. 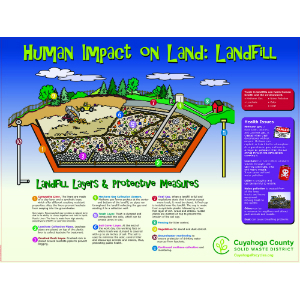 8.5"x11" brochure. This item is currently not available in print. View the PDF. 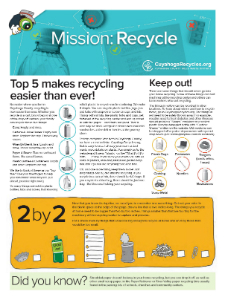 A quick reference card explaining the do's and don'ts of curbside recycling, including items that should be recycled elsewhere, disposed of properly or landfilled. 5.5"x8.5" postcard. 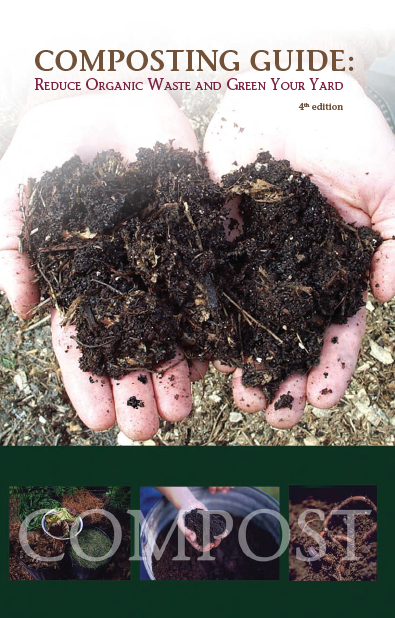 Information on making your own soil-enriching compost by building and maintaining a backyard compost pile with leaves, grass and other organic materials. 5.5"x8.5" book. 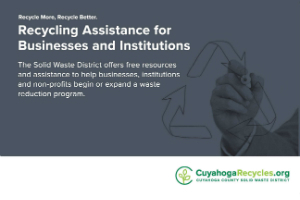 An award-winning guide that lists over 120 community service organizations that accept donations of usable materials to support their work. Use this guide to find a home for your unwanted sporting goods, computers, clothing, gardening tools, office equipment, household goods and more. 8.5"x5.5" book, wire-bound, 86 pages. 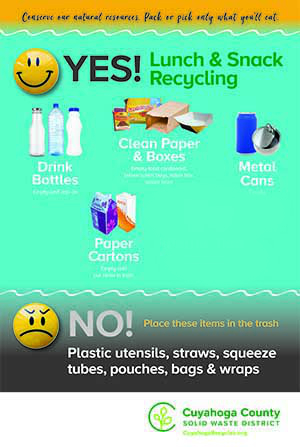 Display this quick reminder about what items belong in the recycling bin. 5" diameter magnet. 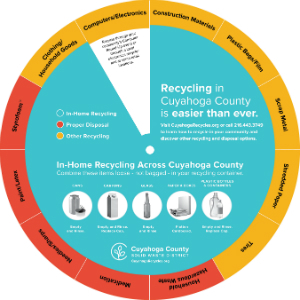 Our interactive spinner provides answers and options for your most important recycling questions. 9" diameter spinner. 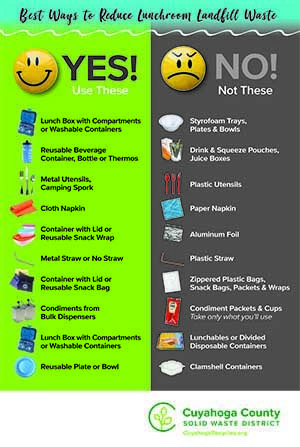 Plastic recycling doesn't have to be so confusing! 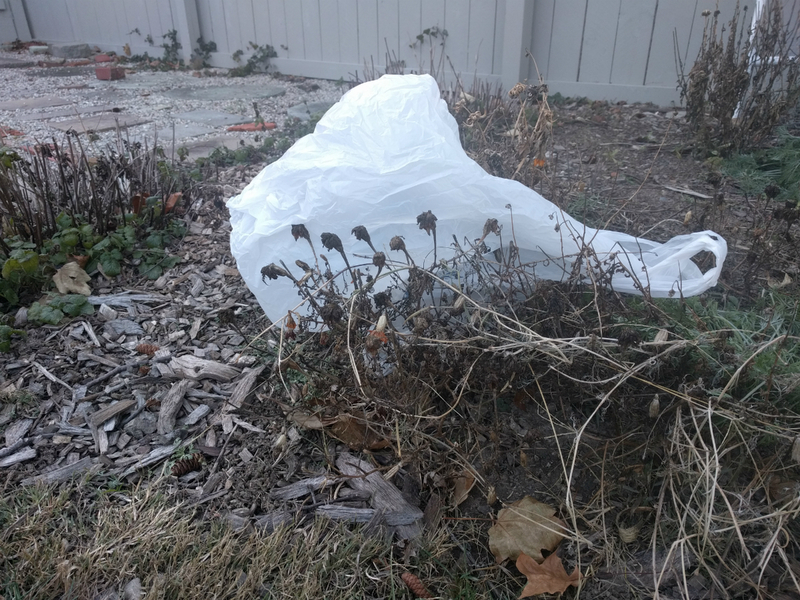 Learn more about the type and shapes of plastics that belong in the recycling bin and why other plastic items should be left out. 8.5"x11" brochure. This brochure is currently not available.